As of April 16, Best Buy will become one of the first major retail partners to offer the latest line of audio accessories from the technology-leading Comply™ brand. 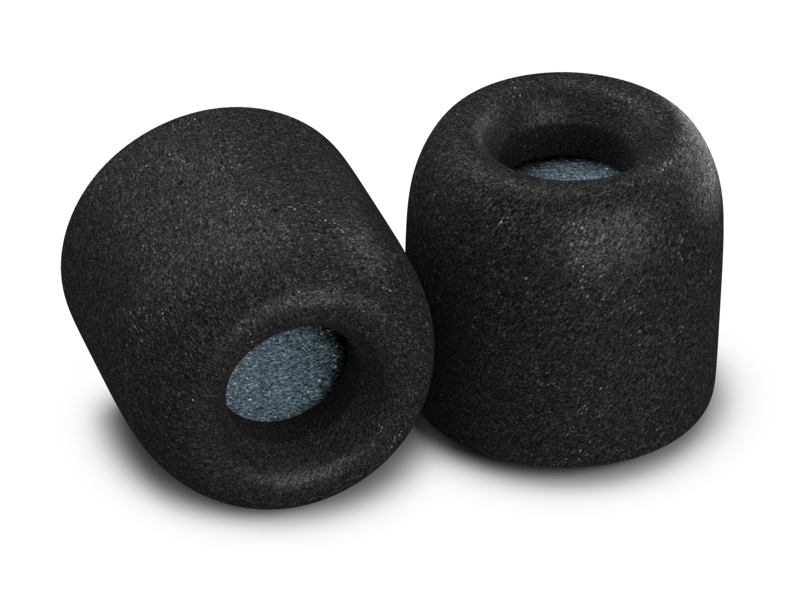 The new Comply SmartCore™ line of foam ear tips features superior sound, fit, and comfort making the buying of premium quality ear tips a “grab-and-go” convenience for audio enthusiasts, athletes and casual consumers alike. Made with patent-pending SmartCore technology and featuring specially designed shapes, the Comply SmartCore line securely fits most earphones on the market. That means Best Buy and other retailers can save coveted customer service resources and peg space, while satisfying customers in search of superior audio accessories. 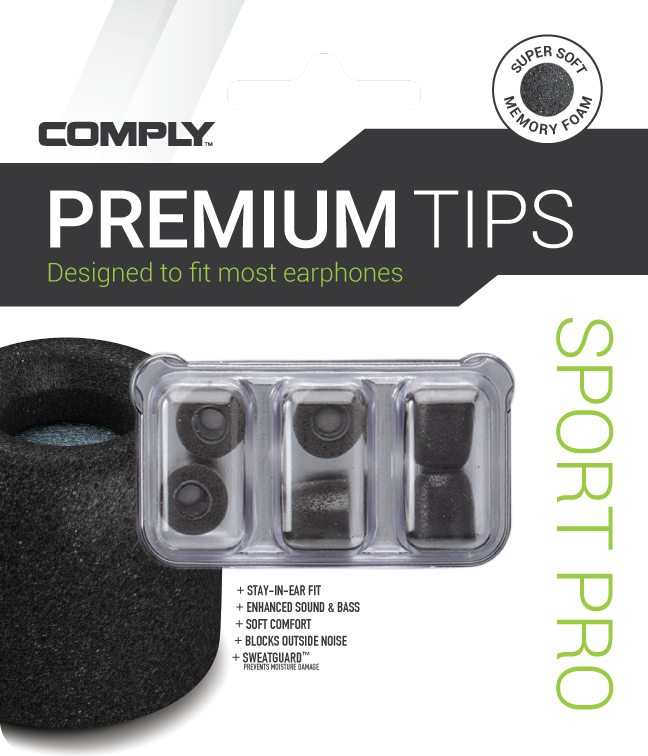 Just like all Comply tips, SmartCore tips use proprietary memory foam technology that is body-heat activated to conform to the unique shape of an individual’s ear canals. This dynamic, custom fit ensures earphones stay put, while sealing in all frequencies for a fuller sound. Plus, the breathable memory foam provides all-day comfort by eliminating the irritation and fatigue often associated with traditional rubber ear tips. Comply Audio Pro with WaxGuard™ blocks noise from the external world, without raising the volume, and the integrated WaxGuard prevents earwax and debris from getting into the earphones’ sound port. Comply Sport Pro with SweatGuard™ features a stay-in-ear grip designed to hold on and not let go until your workout is done—no matter how much sweat you work up along the way. Integrated SweatGuard protects the earphone by keeping sweat & debris out and maintains a clear path for enhanced sound. 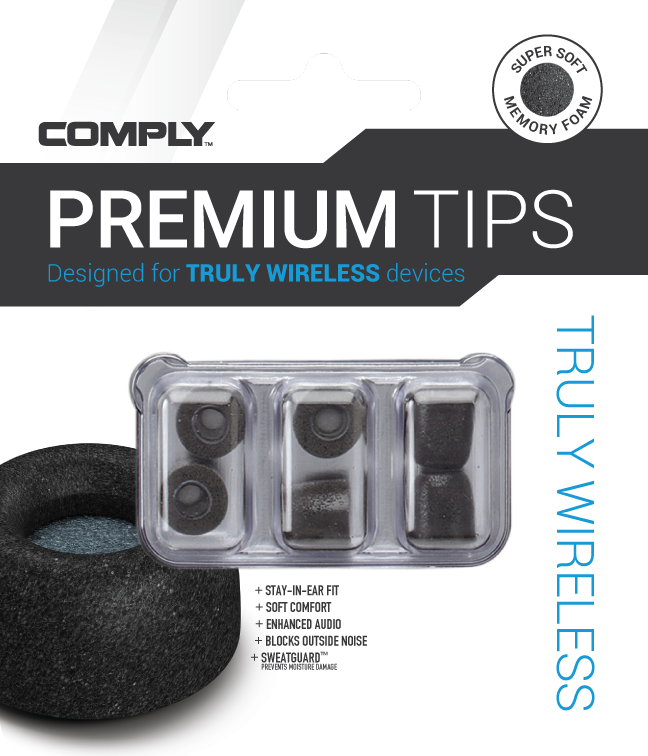 Comply Truly Wireless Pro with SweatGuard™ offer the same patented technology and quality in a game-changing design for “truly wireless” earphones and devices. As a value-add for consumers, the new line also features Sport Pro editions designed for Beats by Dr. Dre earphone models including the recently launched BeatsX and Powerbeats3 Wireless, and Jaybird earphone models including the Freedom, X3, X2, and BlueBuds X. Best Buy will carry these online for the convenience of Beats and Jaybird customers looking to replenish their earphone tips with a high quality foam upgrade. Comply Audio Pro with WaxGuard. Suggested retail price $19.99 USD. Comply Sport Pro with SweatGuard. Suggested retail price $19.99 USD. Comply Truly Pro Wireless with SweatGuard. Suggested retail price $24.99 USD. Comply Sport Pro for Beats with SweatGuard. Suggested retail price $19.99 USD. Comply Sport Pro for Jaybird with SweatGuard. Suggested retail price $19.99 USD. Visit the Best Buy store locator (http://www.bestbuy.com/site/store-locator/) to find the Best Buy nearest you, or http://www.bestbuy.com to shop online. For more information about Comply Foam Tips and the full line of Comply products, please visit http://www.complyfoam.com. 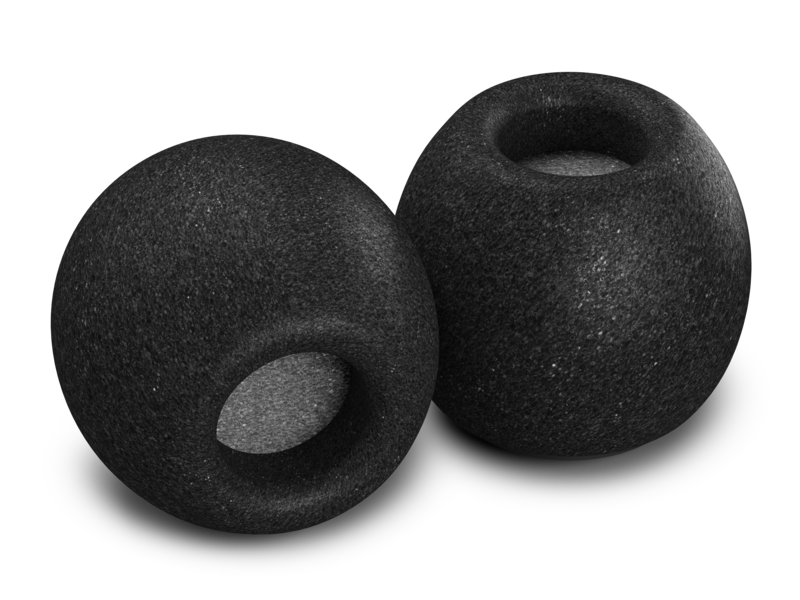 Hearing Components, manufacturer of Comply™ products, is a 3M spin-off founded in 1990 by Dr. Robert Oliveira to identify and create unique, innovative foam solutions that enhance and protect hearing. The U.S. National Institute of Health has awarded several grants to Hearing Components to study the ear and mechanics of hearing, with the intent to improve and protect hearing. Comply is an R&D centric brand focusing on dramatically improving the physical connection between a person’s audio device and their ears. With more than 20 years of experience understanding the ear canal, advanced knowledge in material science, and comfort-focused acoustic expertise, Comply continues perfecting the ultimate personal audio experience. Best Buy is a leading provider of technology products, services and solutions. The company offers expert service at an unbeatable price more than 1.5 billion times a year to the consumers, small business owners and educators who visit their stores, engage with Geek Squad Agents or use BestBuy.com or the Best Buy app. The company has operations in the U.S. where more than 70 percent of the population lives within 15 minutes of a Best Buy store, as well as in Canada and Mexico, where Best Buy has a physical and online presence.